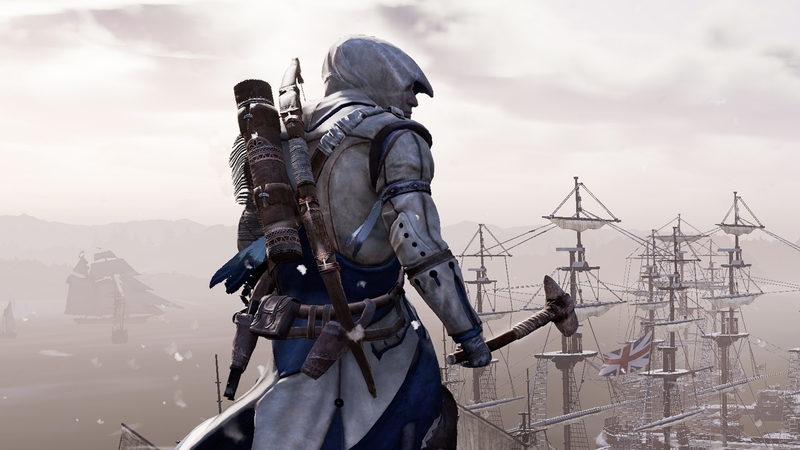 Ubisoft has given us our best look yet at Assassin’s Creed 3 Remastered, which will launch 29th March on PC, PlayStation 4 and Xbox One. It looks like it’ll also be available on Nintendo Switch too, although Ubisoft doesn’t want to announce that yet. Assassin’s Creed 3 Remastered is, as its name suggests, a shinier version of the series’ North American set entry, originally released back in 2012. This re-release also includes a remastered version of Vita spin-off Liberation, and all single-player DLC including the balls-out bizarre King Washington storyline. Amusingly, Ubisoft’s store page for the game includes the original screenshot of main character Connor in a canoe – a feature cut from the main game before its release seven years ago. Will canoes be restored to the game for its Remastered release? I kayak wait to find out.